We've compiled the top speed ratings from TullyRunners.com to give you insight into what to expect heading into the boys championship race at Nike Cross Nationals on December 1. In short, a speed rating is a number attributed to an XC performance, roughly one point per three seconds, adjusted for overall race quality and depth. Using these numbers, we can compare performances on an apples to apples basis -- in terms of XC times and teams. It provides an answer to the hypothetical question, "What would happen if the best teams in the nation all raced at once?" However, these do not predict the outcome of NXN. The best way to describe speed ratings are that they can be used as seeds heading into a big race. The actual speed ratings will vary from race to race, but these numbers give an indication of the potential ceiling of an athlete. What about last year's numbers? For comparison, the top two boys at NXN a year ago, Aidan Troutner and Brodey Hasty, both posted speed ratings over 200. Troutner was rated at a 201 and Hasty was at a 200. 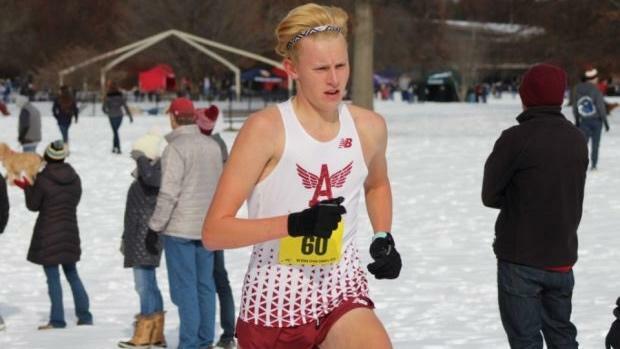 Hasty's top rating before NXN was a 199 -- from Great American and NXR Southeast -- while Troutner's was a 195 from the Utah State Championships.